Court Craft are a civil construction and specialist surfacing contractor focused on sporting infrastructure and landscaped environments. Court Craft was formed in 1977 with current management taking over in 1986. 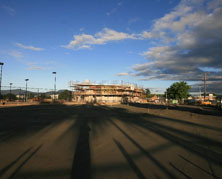 Court Craft builds a wide variety of sporting installations, both indoor and outdoor plus general outdoor environments. This includes installations such as hockey fields, tennis courts, school ground constructions, netball courts, basketball courts, soccer fields, bowls greens, sport fields, cricket pitches, golf, playgrounds, volleyball courts and badminton courts. Court Craft carries out all aspects of a project from planning, Council submissions, construction of facilities, clubhouses and amenities, lighting systems, landscaping etc. Court Craft runs on a philosophy of service to all our clients. We have a highly competent and well trained work force. Our senior management, both site and administration, have many years of experience in the construction of sporting facilities. Coupled with the careful selection of suppliers it allows us to maintain a consistent, professional standard of construction and surfacing on all projects. Court Craft has been a Plexipave installation agent for over 20 years. 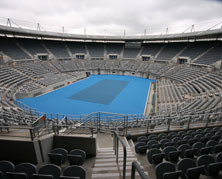 Plexipave is the official surface provider for the Australian Open. 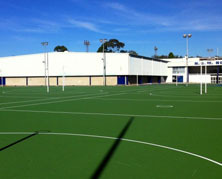 Court Craft has installed this elite Plexicushion surface at Sydney Olympic Park Tennis Centre. 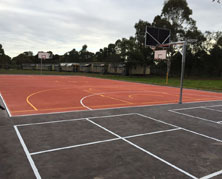 Court Craft has also worked with netball to formulate a specialists outdoor Plexipave Netball Surface which is the preferred outdoor playing surface by Netball NSW. Court Craft has a variety of clients including Universities, Colleges, Schools, Councils, Sporting Associations, Commercial and Private. 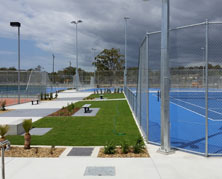 Court Craft’s client acceptance has allowed us to develop into one of the larger court builders in Australia installing over 3,000 courts and playing area. 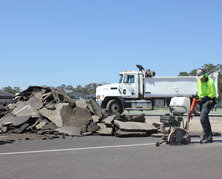 Asphalt and concrete services for car parks, pathways, courtyards etc. 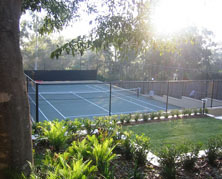 Court Craft prides itself on customer relations and is based on a philosophy of service to all our clients through a highly competent and well trained work force who have many years of experience in the construction of sporting facilities and general landscaping. The stability of our workforce, the experience and supervision of senior management and the careful selection of suppliers allow us to maintain a consistent, professional standard of construction and surfacing on all projects. Court Craft specialise in supplying premium surfaces and equipment to sporting and recreational facilities across Australia.